Your car’s brakes operate through a hydraulic system, which means that they are powered through varying fluid pressure. Depressing the brake pedal pushes a piston that forces fluid through pipes to a cylinder that is placed near each wheel. The fluid fills the cylinders, which causes pistons to push out and apply the brakes to the wheel. Today’s cars have anti lock brakes that include sensors and a control module to prevent a car from locking up and skidding in the event of heavy braking. Learn more about your car’s brakes by having it inspected at in Portland, OR. During normal braking procedures, the pedal action for an ABS or anti-lock braking system will feel much the same as it would in a vehicle having a non-ABS system. In an emergency, however, anti-lock brakes prevent wheel lock-up while allowing the driver to maintain steering control. In a critical situation when the brake pedal is depressed, the ABS will also bring the car to a stop in the shortest distance possible. 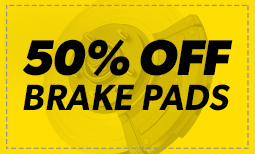 Wondering if your car has anti-lock brakes? Just ask the specialists at Meineke #272 in Portland, OR. Vehicles equipped with an ABS brake system generally have a dashboard light associated with the system. Some older vehicles may use the check engine light. However, your car will start to show physical signs during ABS brake failure. It may require more effort to press down on the brake pedal or the pedal may actually be unresponsive. If your ABS brakes need service, you will still have control and use of your regular braking system. This is not a reason to ignore ABS brake service. Bring your vehicle to the trusted technicians at Meineke #272 in Portland, OR for repairs and maintenance. Even if your anti-lock brakes fail, your car is probably still drivable. The ABS brakes will switch off if the components fail, but the regular brakes on your car still work. This can still be a problem if you get into a panic situation where you expect your brakes to pump themselves to get you out of a skid. Don’t put off repairs to the anti-lock brakes, even if you’re not expecting icy or snowy weather. The ABS system also keeps your auto from hydroplaning in wet driving conditions. Maintain your brakes with silicone brake fluid or mineral brake fluid by coming to the professionals at Meineke #272 in Portland, OR. 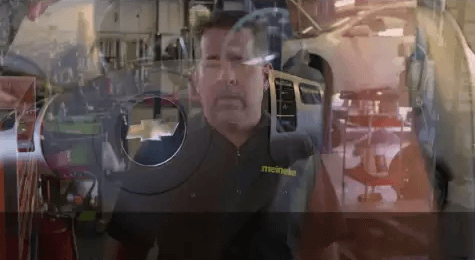 If you are accustomed to bringing your vehicle in to Meineke #272 in Portland, OR, for routine inspection of your anti-lock brakes, you already know that this represents big cost savings. You might need a minor part or some brake fluid added to the system, and this kind of service can be done quickly and inexpensively. If, however, you have worn brake pads, replacement will be required and you should have that done as soon as possible. Brakes of any kind are designed to wear out, and brake pads are only one component that might need replacing. We will assess any brake problems you’re having and recommend the most appropriate solution. We know that you’re as interested in great ABS brake service as you are in an economical solution to your car’s specific issues. The specialists at Meineke #272 in Portland, OR, are familiar with every kind of brake problem. Our goal is to offer solutions that are effective while still being as considerate as possible to your budget. This is why we recommend that drivers pay attention to any warning signals raised by their anti-lock brakes and come in promptly for an inspection. Catching potential problems early is definitely the most cost-effective road to take.